In a dialect spoken by old fishermen from Vis, the word pojoda was used to describe a shelter from a storm. More precisely, the term referred to a hidden bay or cove, a lee, where sailors would find safety when a storm arrived, waiting for the calm. 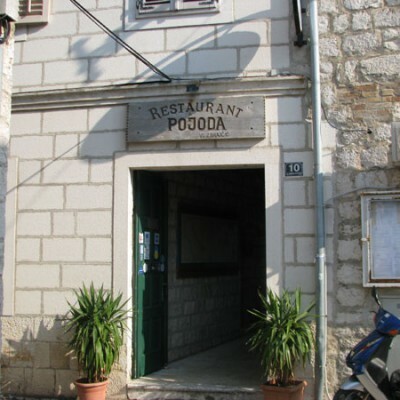 In the context of this story, we could say that Pojoda refers to a shelter for the hungry, or to the name of probably the best restaurant on the Adriatic. When you meet the owner, who is also the chef, it is easy to realize that he was inspired by his own life when choosing the name for his restaurant. He lived in Zagreb most of his life, doing business that had nothing to do with gastronomy. Suddenly, he felt a call from his ancestors (his grandfather was a fisherman) and decided to move to Vis and start a new life, sheltered from a stressful life in the capital. Restaurant Pojoda is located in Kut, the southwestern part of Vis Port on the island of Vis, just a few steps from the pier. This part of the port was built by noblemen from the island of Hvar, who had their leisure homes there. They enjoyed inviting each other to dinner and impressing their guests with unusual and delicious recipes. That is why the owner of Pojoda decided to prepare only food that was served in their houses for centuries. A typical menu at Pojoda consists of several starters (up to eleven! 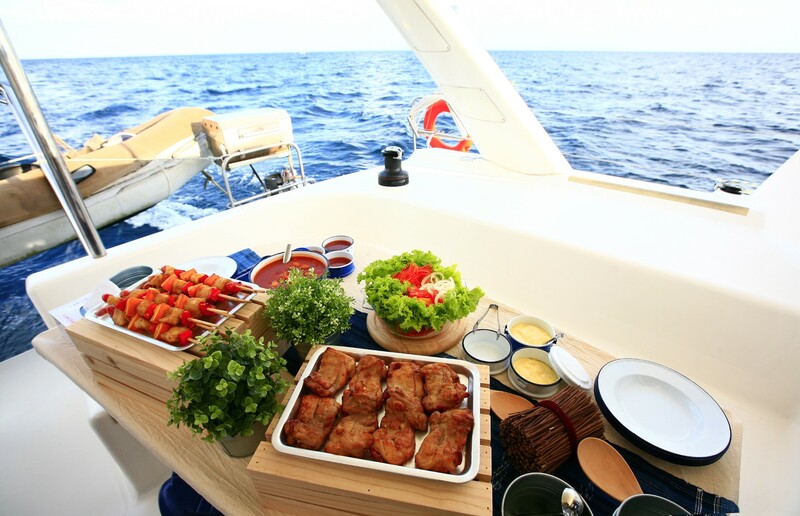 ), all prepared with seafood and followed by grilled fish. Do not ask about those legendary starters because they are simply indescribable – a perfect mix of all scents and tastes of Vis Island and the surrounding sea. That is something specific for this place and impossible to find anywhere else. The food in the restaurant is combined with the finest local wines. Homemade liqueurs are served as a dessert, and the tables are waiting for you in the shade of the lemon and orange trees growing on the terrace of this palace of divine food. The quality of the restaurant’s food has never declined. 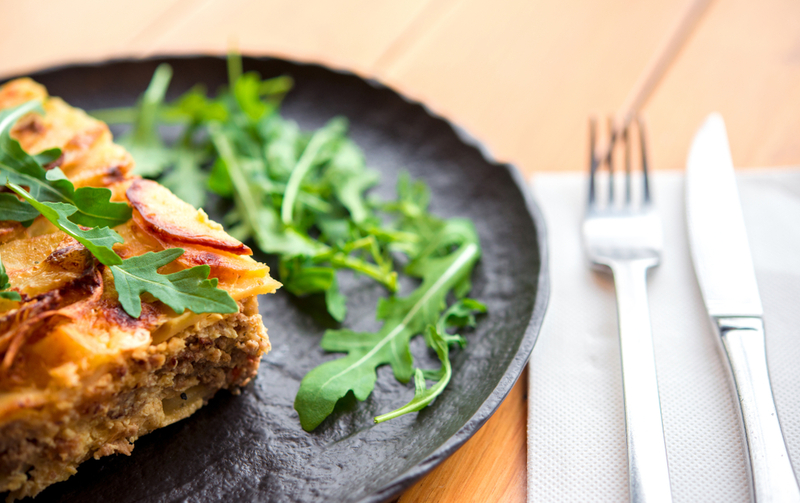 The owner does not like to experiment with the menu and follow trends – he is a trendsetter in his own right. This popular restaurant welcomes guests throughout the whole year, which says a lot about their business policy. Last but not least, Pojoda is being visited by many Italians who sail across the Adriatic on their speedboats just to have lunch or dinner, and then take off back home. I am sure they would not undertake such a trip had they not be expecting something special. If you want to visit Pojoda, charter a yacht in Split area and set your sails towards Vis. To prepare yourself for an adventure on Vis, read our blog post about Komiža, another town on the island of Vis, and about the nearby island of Biševo.